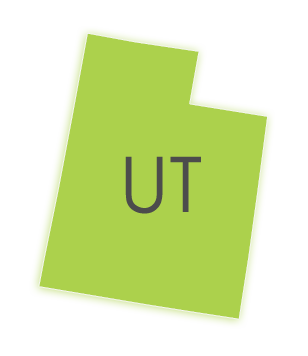 From Ogden to Orderville, covering over two hundred and fifty cities and counties across Utah, court reporters have never been easier to schedule for your deposition. Discovery Litigation Services is standing by to provide you with the best-qualified Utah court reporter for your deposition. Utilizing streaming enabled court reporting solutions, we can provide you with a court reporter anywhere in Utah. Discovery Litigation Services makes it easy to get the best Utah court reporter for your deposition anywhere in the state.. Our streaming enabled court reporter services gives you the ability to find a qualified court reporter regardless of where your deposition is location. Let Discovery Litigation Services supply you with the right court reporter and all inclusive litigation solutions to meet your demands..
We supply the most experienced court reporters with an eye toward excellence and your satisfaction. Discovery Litigation Services is founded on the principle of client services by an established court reporter with professional experience spanning 20+ years. We work tirelessly to supply you with accurate and reliable solutions to all of your deposition requirements.. It is our mission to place the most comprehensive litigation tools in your hands. We have simplified the process for all of our clients. With Discovery Litigation Services you can have a Utah court reporter at any deposition in any county throughout the state with only a few clicks. Discovery´s court reporting solutions and full-service deposition services ensure all of your bases will be covered. With a our tools and online resources, we can fully cover any deposition anywhere. There is no deposition too remote for Discovery Litigation Services to cover. We pride ourselves on giving you the highest quality and expertise of skilled court reporters in every city across the country..
Do You Have The Staff You Really Need For Your Case? Because our aim is to put the most comprehensive litigation services at your fingertips, we are driven to simplify the process. Discovery Litigation Services will handle the task of building your team. We will provide you with the legal support staff needed to bring your case to a resolution. We’ll supply you with high quality document review attorneys trained and skilled in a multitude of eDiscovery Software platforms, and fully understand the discovery process. Let our Document Review Attorneys sift through the terabytes of digital documents. Our service goes further. We’ll provide you with highly qualified paralegals, project managers, translators, and coders. We can even provide complimentary conference rooms in a variety of cities across the nation. Discovery Litigation Services goes above the rest to provide you with the tools, services, solutions, and expertise your case requires. We will provide the right experts for your case anywhere. There is no location unreachable for Discovery Litigation Services. We pride ourselves on providing you with the highest quality services, and the expertise of skilled professionals anywhere in the United States. Put our team of attorneys, court reporters, interpreters, and multimedia experts to work for you with a click of the mouse.